Yesterday I accompanied Laura on her extra credit excursion in New York City. Well, more like completely organized her trip because she’d be completely lost in the city without a guide. In the bitter cold, we walked all over Battery Park, to the New York Vietnam Veterans Memorial near the Staten Island Ferry, around Christopher St-Sheridan Square and Stonewall Inn, and up to the Paley Center of Media located close to St. Patrick’s Cathedral and MoMA. We did get some respite from the freezing winds however. 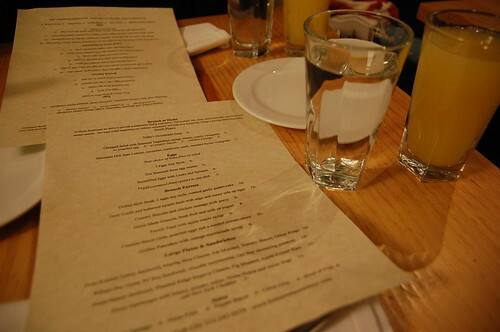 In the West Village, on my new favorite street, Cornelia, we sat down to the most delicious brunch everrrr. There are at least three other great restaurants on this street, including Pearl Oyster Bar with their lobster rolls, French favorite Le Gigot, and Cornelia Street Cafe. 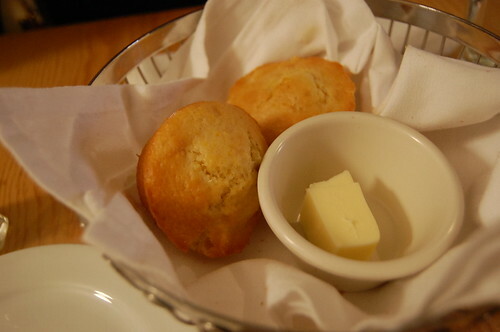 But Home Restaurant is now my favorite for it’s tiny but cozy space, friendly and attentive service, and most importantly, local and DELICIOUS food. The orange juice was freshly squeezed and tart. 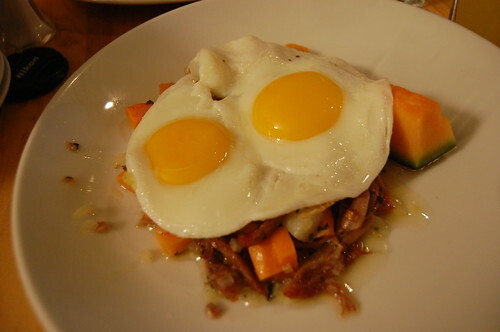 I ordered the duck confit and butternut squash hash with 2 sunnyside eggs. The rich and melt-in-your-mouth tender duck covered with oozing egg yolk was absolute heaven. And while the perfectly cooked butternut squash and canteloupe slice did absolutely nothing to cut the fat going into my stomach, I wasn’t complaining at all. 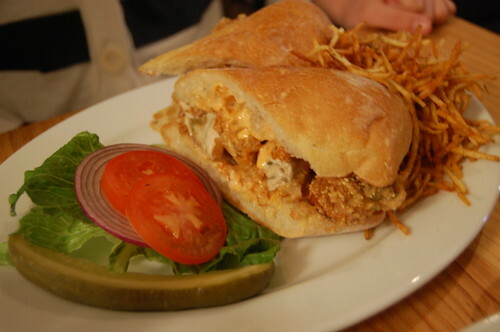 Laura looked equally blissed out on the other side of the table with her ginormous oyster po’ boy sandwich, paired with Old Bay shoestring potatoes. I had a bite and tasted crispiness sea flavors with the zing of the chipotle mayonnaise. The potatoes kept calling to me throughout our meal, and after many attempts of eating them with a fork, I eventually gave up and resorted to grabbing them with my fingers. Another great thing about this restaurant? 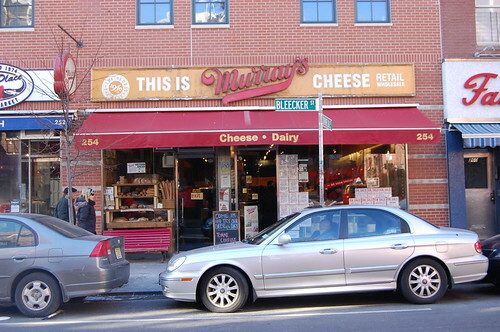 Right down the street, on Bleecker, are Amy’s Bread and Murray’s Cheese Shop. We picked up some Spanish anchovies and fontina cheese at Murray’s as well as a giant loaf of sourdough bread for everyone at home. 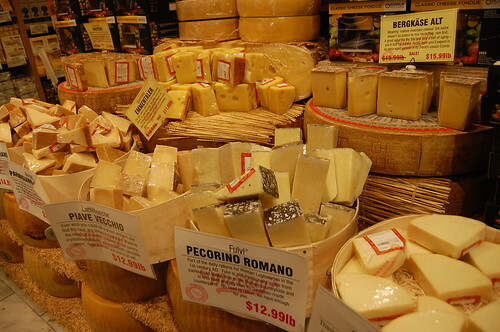 You are currently reading A new favorite in NYC at Notes on Food.